Photos: On dead Holly. Ballingeary, Co. Cork, SW Ireland. Non-lichenised thallus is whitish, greenish-white or light brown. 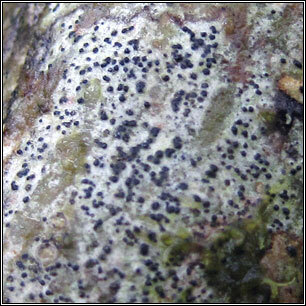 Usually abundant tiny pycnidia (0.1mm) are intermixed with larger perithecia (0.2-0.4mm diam). 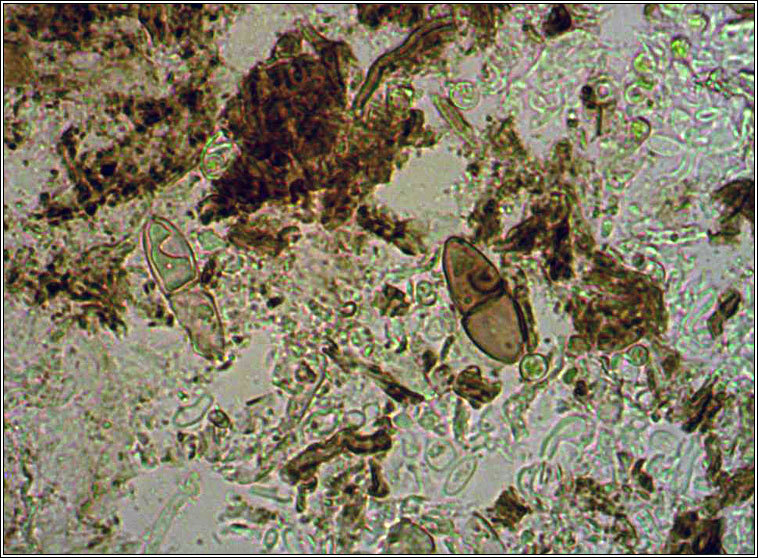 Asci 8-spored, the spores 1-septate, 27-40 x 7-12 µm. Initially colourless, becoming brownish and finely warted. Microscope photograph below. 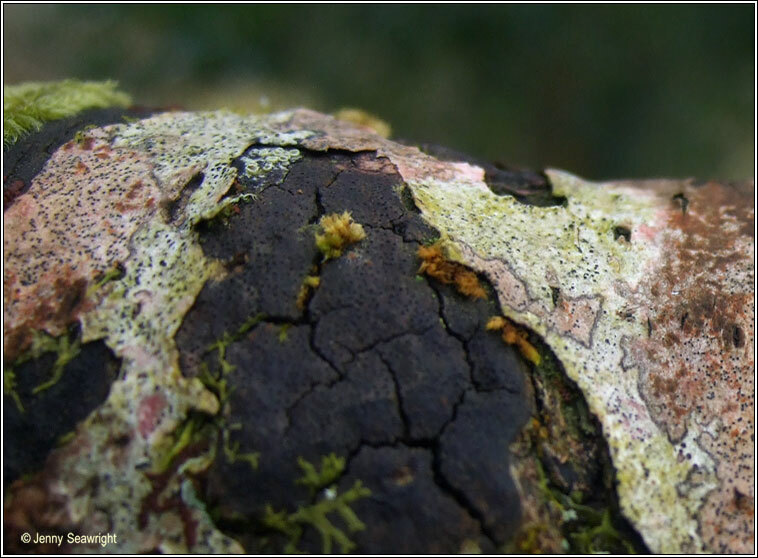 Usually found in old woodlands on smooth bark of Hazel, Beech, Holly and Rowan. Can be locally frequent. Chemical tests negative. 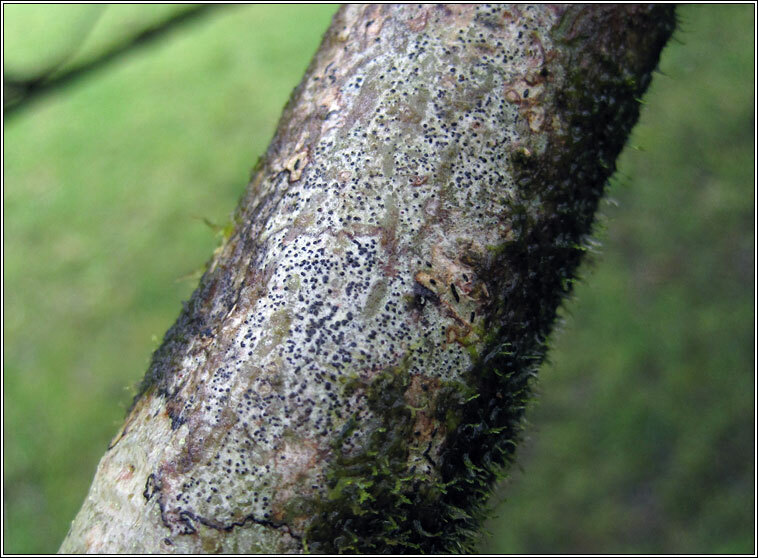 Photograph below also shows Arthopyrenia nitescens (pinkish).